Family holidays to Benidorm are sure to be a hit with everyone in your group. It’s increasingly difficult to find a holiday destination or a resort that appeals to everyone in the family in quite the manner that cheap holidays deal to Benidorm are able to do. You will find many holidays with free child places to Benidorm making it an even more attractive destination for families. In case you are wondering where what kind of family activities you can enjoy during all inclusive holidays to Benidorm in Costa Blanca you will be glad to find that there are a wide range of activities that should appeal to many age ranges in your family.Mundomar- This aquarium is sure to please young and old alike. There are plenty of activities and shows to watch to keep the entire family entertained and it is quite difficult to resist the amazing animals that steal the show at every turn. This is a great way to spend an entire day and the price makes it compatible to meet your needs for cheap holidays to Benidorm. You may even be able to pick up free tickets as part of a package deal when booking your cheap holiday deals to Benidorm. Aqualandia – This water park gives new meaning to the term fun in the sun. Make your plans to bring the entire family and spend the day but be sure to bring plenty of sun screen. You can purchase tickets that allow you to enjoy both Aqualandia and Mundomar for a discounted price, which makes for a great bargain. It is best to try to arrange some sort of bargain for this particular outing as it can be quite expensive. However, if your family enjoys water parks, you may all agree that this venture is MONEY well spent. Terra Mitica -This theme park is a highlight for many families enjoy cheap holiday deals to Benidorm. There are many rides that will appeal to family members of all ages—especially the roller coaster lovers in the group. Some of the lines may be quite long but the rides are generally worth the wait. Depending on the time of year in which you travel you may be fortunate enough to enjoy short queues for the rides. Theme parks can be quite pricey. For this reason it is a good idea to see if you can include them in your packages for all inclusive holidays in Benidorm or arrange some sort of deal through your hotel for discounts. Otherwise plan carefully and set aside the money if this is a can’t miss outing for your family. 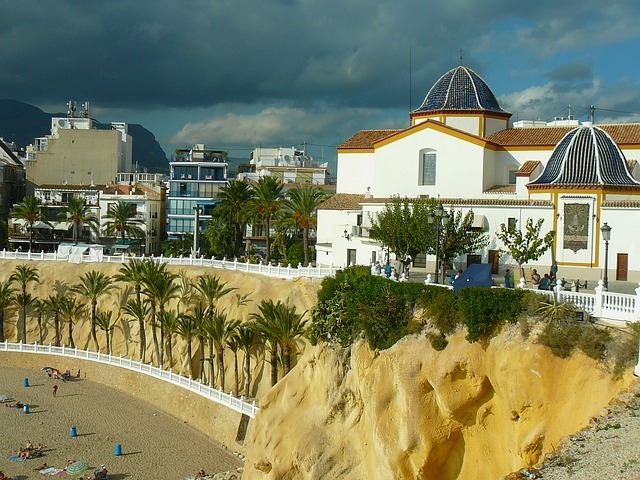 Family holidays to Benidorm can be as expensive or as cheap as you would like them to be. Careful planning makes for cheap holiday deals to Benidorm while failing to plan can result in rapidly rising expenses. This is one reason that all inclusive holidays in Benidorm are so popular—because all of the expenses for transportation, lodging, many meals, and some entertainment are included in the price.